Check out AMAZING Live Aquarium Webcams! 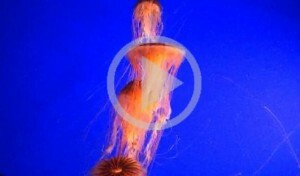 Check out MyLiveStreams.com new Live Streaming Webcams in Vancouver Aquarium! Watch Jellyfish swim in their tanks with this great Jelly Cam on MyLiveStreams and enjoy the relaxing movements and great colours of the Jellyfish in Vancouver Aquarium with MyLivStreams Vancouver Jellyfish Live Streaming Webcam. Take a look at the Live Streaming Shark Cam and check out the great Live Penguin and Otter Webcamsin the Vancouver Aquarium with MyLivreStreams.com. Watch Live as the dangerous Sand Tiger Sharks of Vancouver Aquarium are fed Live Webcam with this great Live Streaming Shark Cam. Get up close with the Penguins with the amazing Penguin Cam and enjoy Live Streaming Views from the Penguin Enclosure at the Vancouver Aquarium in Canada. Check out the exciting Sea Otters with the Live Sea Otter Streaming Webcam on MyLiveStreams.com and find your favorite Live Streaming Aquarium Webcams with the MyLivStreams Streaming Aquarium Webcams Section. Watch Live Streaming Webcams from Aquariums from all over the world with the MyLiveStreams Live Streaming Aquarium Webcams. With Live Streaming Webcams from Aquariums all over the world ranging from Seaworld San Diego Live Penguins Webcam California, to Goldfish Live Streaming Webcam in Aberdeen – Scotland, MyLiveStreams has plenty of Live Streaming Aquarium Webcams to choose from.